Have you found the site for your dream home? Do you want to buy the lot now and build later? An American Community Bank Building Lot Loan is for you. Or use your home's equity to finance your lot via a Home Equity Line of Credit or Home Equity Loan. Use your home's available equity. A special loan product for those building a dream home. Access your home's available equity. 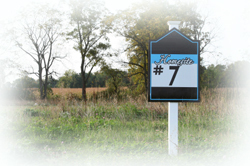 Greater NWI Association of Realtors - Start your land search here!